I’m really excited to showcase a new line of bags we’ve recently created for Earth Divas. Although each of these bags are unique, the overall theme is, “What You Buy, Matters.” Because truly, every purchase you make in life makes a difference to someone else. We believe that wholeheartedly here at Earth Divas. So, are you going to make a positive difference to someone, or a negative one? That’s the question we’re asking with this new line of fair trade bags. 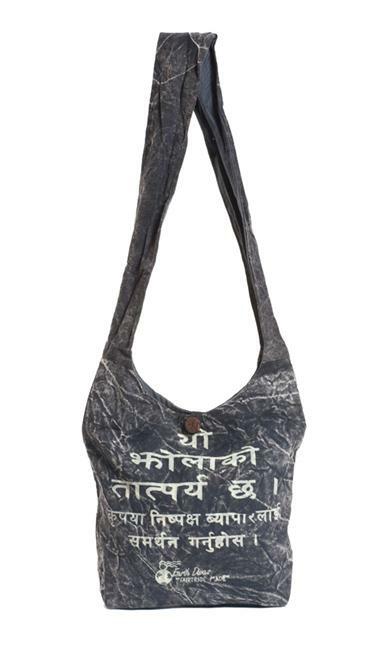 The Nepalese text on this bag says, “What You Buy Matters.” You can see this bag here. This theme comes in several different colors. 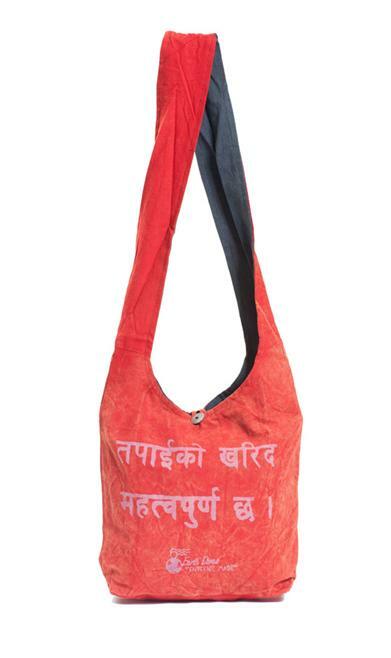 The Nepalese text on this bag reads, “This Bag has a Purpose.” Again, this theme comes in plenty of great colors! You can see this bag here. 3. Can One Handbag Really Make a Difference? 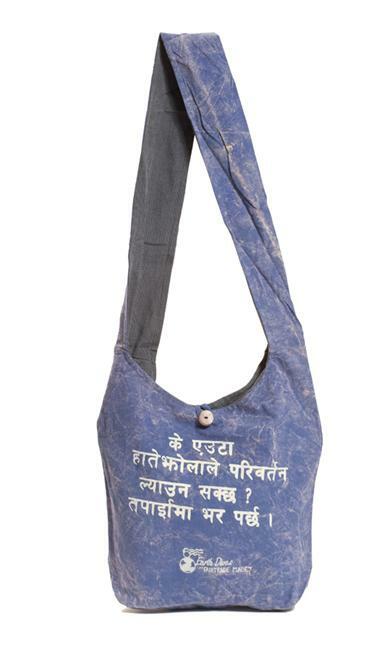 The Nepalese text on this bag reads, “Can One Handbag Really Make a Difference?” And we all know that answer is a resounding “YES!” You can see this bag here. To me, these new bags really make you realize that every purchase matters. And, you’ll likely get plenty of questions about the text, which can open up plenty of conversations about the importance of fair trade. As you might imagine, I love our new bags!